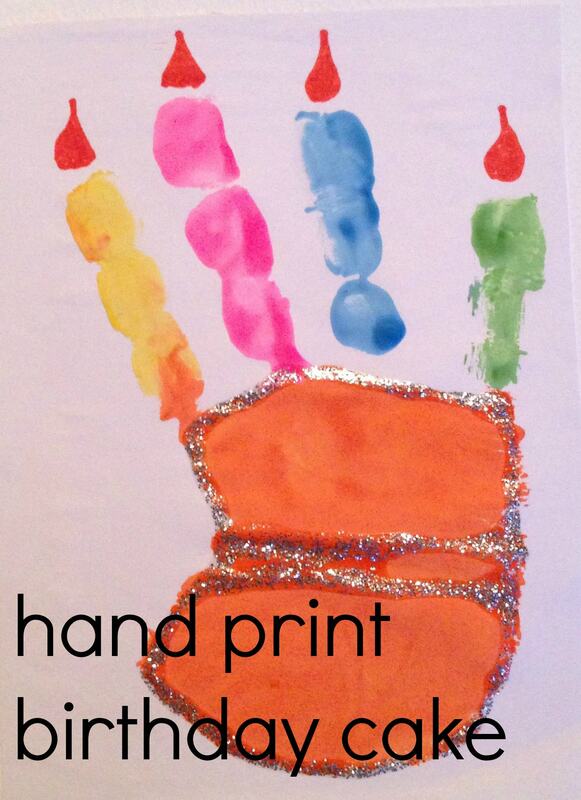 I just love the way a hand print can be made into anything you want it to. Yesterday Daddy celebrated surviving another year of being a father of two so we thought we would make him a very special card. After the hand print had dried I drew flames at the top of each finger. Then we added some glitter, just to make the outline of the cake clear, and added a cake band. Daddy loved it and the toddler was very proud of his work. What a great idea for a birthday card! Love it! Thanks, daddy liked it too!